The Joyetech Ocular C 150W TC is an electronic cigarette crammed with razor sharp vaping technology. 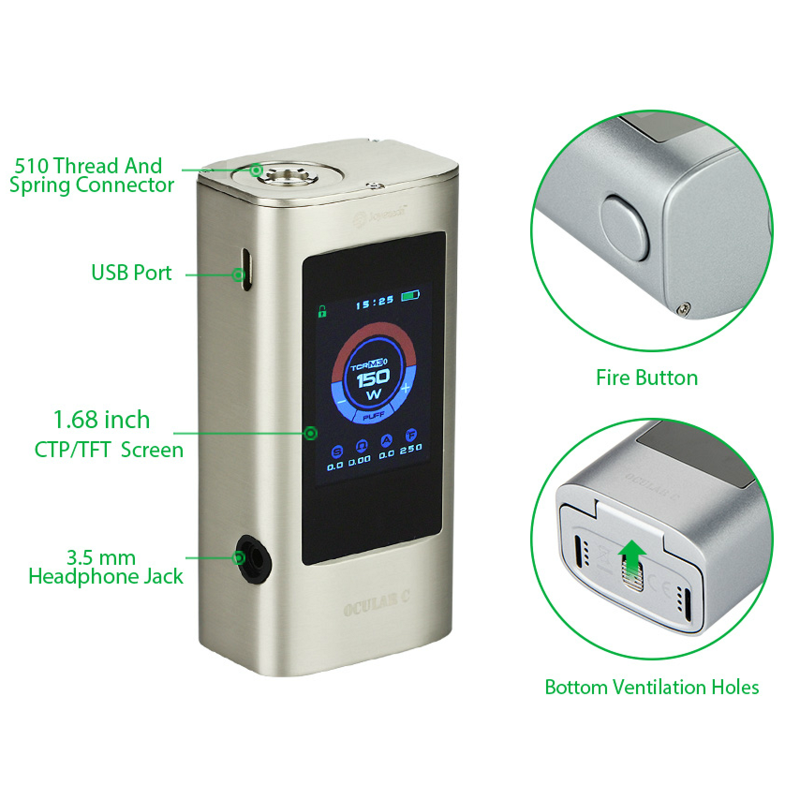 The Joyetech Ocular C features a built-in 4.27cm full color touchscreen with high-end performance capability backed by an extremely advanced microchip. 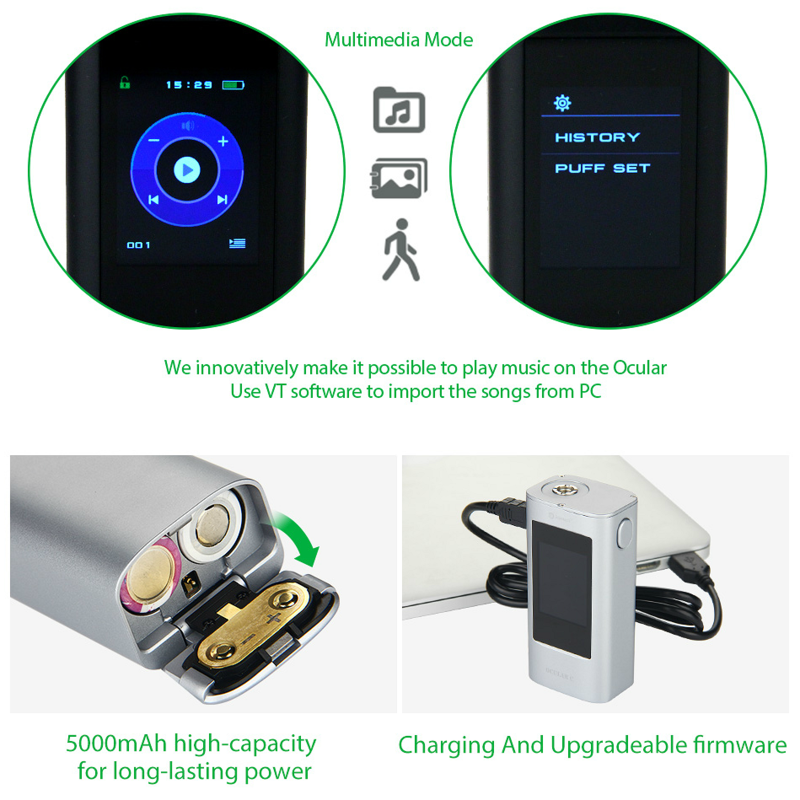 The Joyetech Ocular C includes a multimedia mode with a 2GB MP3 player and photo import and storage capability, plus a 3.5mm headphone jack to listen to music. One of the most feature packed mods ever launched, the Joyetech Ocular C is a true pinnacle of achievement that brings together sophisticated vaping technology with a very useful and super stylish touchscreen. → To view matching atomizers for the Joyetech Ocular C, please click here. 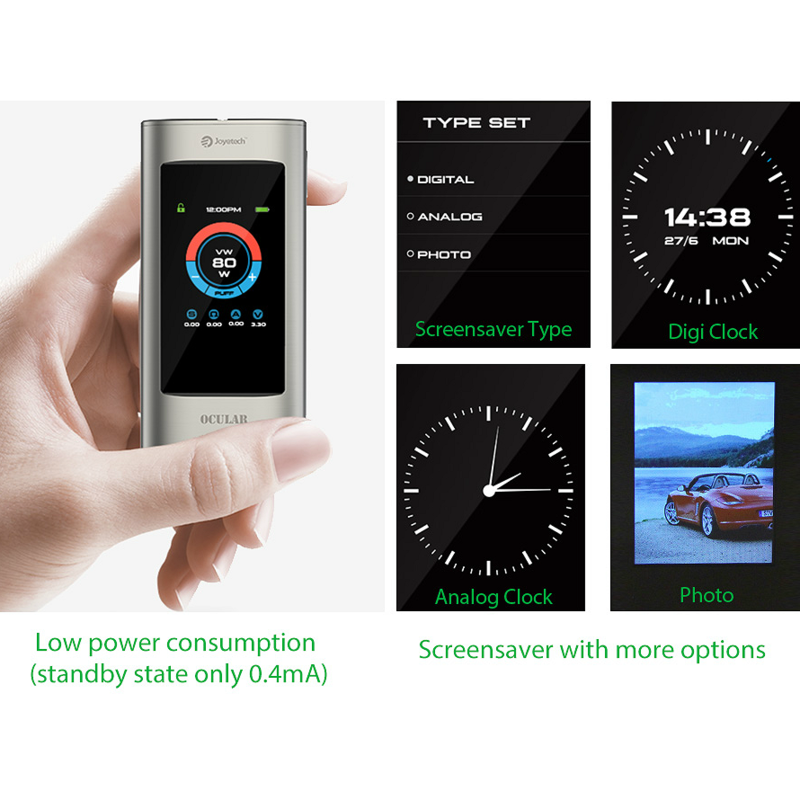 → For external 18650 battery chargers, please click here.